Researchers in Denmark and Norway have created a reference wind farm for testing out new solutions to find the best alternative – before a single wind farm component is produced. In the wind power industry margins are small and every detail counts when it comes to increasing production and reducing costs. The reference wind farm is not a physical entity, but a model that uses genuine wind and wave data. 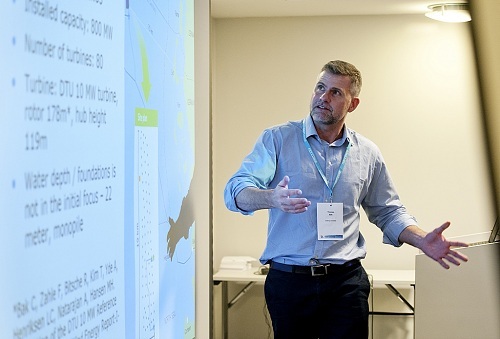 Under the auspices of the Norwegian Centre for Offshore Wind Energy (NORCOWE), researchers from Aalborg University in Denmark and Uni Research in Bergen, Norway, have built a comprehensive model of a wind farm with 80 10-MW wind turbines. 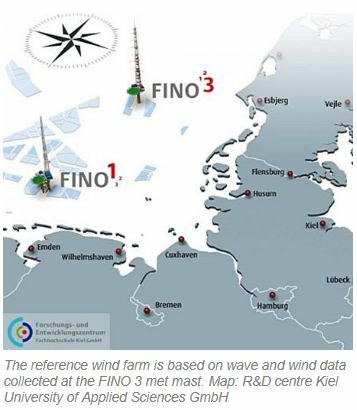 Wind and wave data are imported from the FINO 3 met mast in the German North Sea. 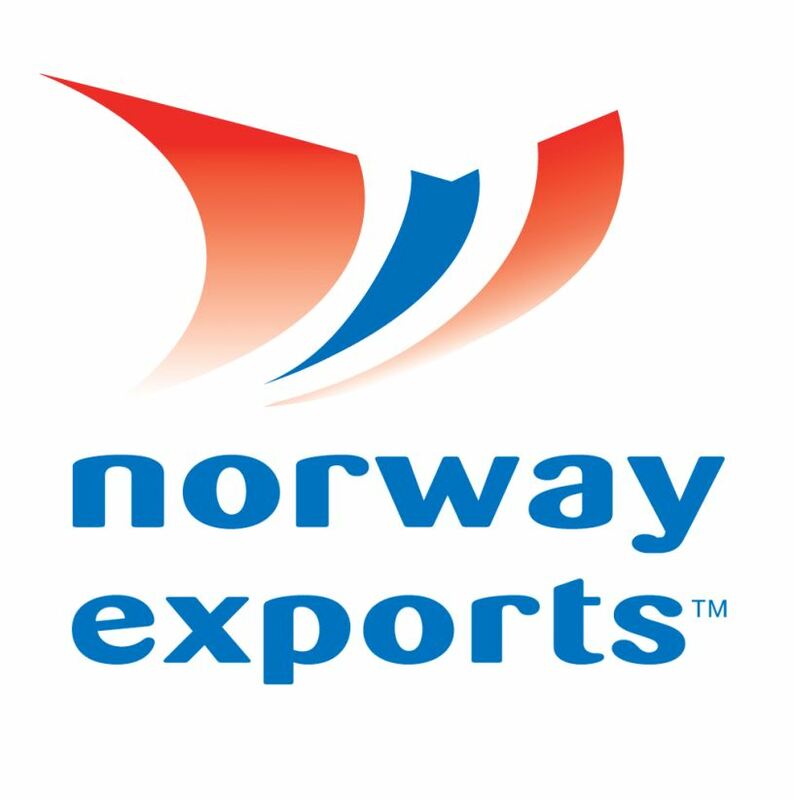 “An international effort is now underway – in which Norway is playing a leading role – to extend the concept to the entirety of the wind farm itself, ie. reference electrical collection and transmission systems, as well reference turbines, and reference regimes of installation, operation and maintenance”, Graham adds. “We came up with the idea of making a reference wind farm because we wanted to help cut the costs of producing energy at wind farms. Each time a wind farm is planned, the developers review a number of factors to optimise the process. 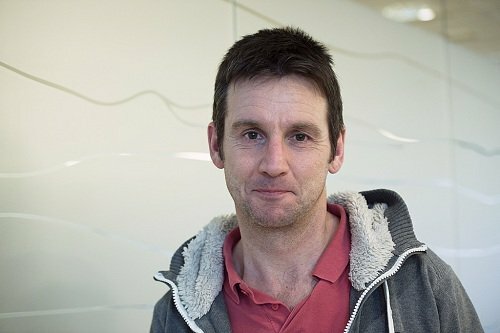 We realised there was a need to test various scenarios without having to build an entire wind farm first,” says Professor Thomas Bak from the Department of Electronic Systems at Aalborg University, Denmark. Amongst the many factors affecting energy production costs there are the wind conditions at the farm’s intended site, the type of wind turbines selected, and the chosen options for installation, cabling and operation and maintenance. The standard approach so far has been to take an existing wind turbine and test it with different options. What is unique about NORCOWE’s reference wind farm is that it incorporates models from an array of technological areas into one and the same model. “This allows researchers and industry players to come with their suggestions and see if they generate better or worse results. The advantage is that you don’t need to be an expert in every area in order to use the model. You can focus on your own solution and still find out how any particular adjustment affects energy costs,” says Professor Bak. The reference wind farm is not designed for planning entire wind farms, but can be used to analyse various elements, for example, to determine the optimal cable solution. Engineers can test out new solutions using the reference wind farm and thus try out multiple solutions before drawing up detailed specifications. In order to demonstrate how the model can be used, researchers have designed an unconventional layout of 80 wind turbines arranged along irregular curvilinear rows, which departs from the standard layout with wind turbines standing in straight, parallel rows. Estimates show that this alternative layout would supply eight per cent more energy than the industry standard, but that it carries a higher investment cost. Scientists at Aalborg University have worked for many years within planning of operation and maintenance on offshore oil and gas installations. They have now taken a major leap in applying this knowledge to operation and maintenance of offshore wind farms. Many wind farm components have relatively high failure rates which translate into high maintenance expenditures. As a rule of thumb, operation and maintenance accounts for up to 25–30 per cent of the cost of producing energy. NORCOWE researchers have developed a model that can be used to plan what the cost of operation and maintenance will be, and thus to determine which technologies are best value. The data used in the reference wind farm are based on figures published in the body of research literature. These data on the expected volume and severity of errors are used to calculate the costs of different maintenance strategies. It is not just the lifetime of components that is important, but also the weather window open to technicians for servicing the wind turbines. Some types of vessels can be used in high seas, but these are generally also the ones that are most expensive. Based on data obtained from wind turbine owners in a different project, NORCOWE researchers have looked at operation and maintenance costs for wind turbine blades. Maintenance activities may cover repair when something goes wrong or fixed-interval inspections by technicians who replace parts when fractures are discovered. Alternatively, maintenance can be based on prognoses forecasting the probability of a breakdown. Researchers can use the reference wind farm to substitute different components and see how this affects costs. Frequent parts replacement will cost more, for instance, but it will decrease the incidence of fractured wind turbine blades. “We have calculated that wind farm owners can save from five to ten per cent on costs related to wind turbine blades. But this depends on when in the course of a component’s lifetime the decision is made to replace it,” says Professor John Dalsgaard Sørensen at the Department of Civil Engineering at Aalborg University, who has headed this segment of the project. Scholarly articles about the reference wind farm have been submitted and are likely to be published in 2017.